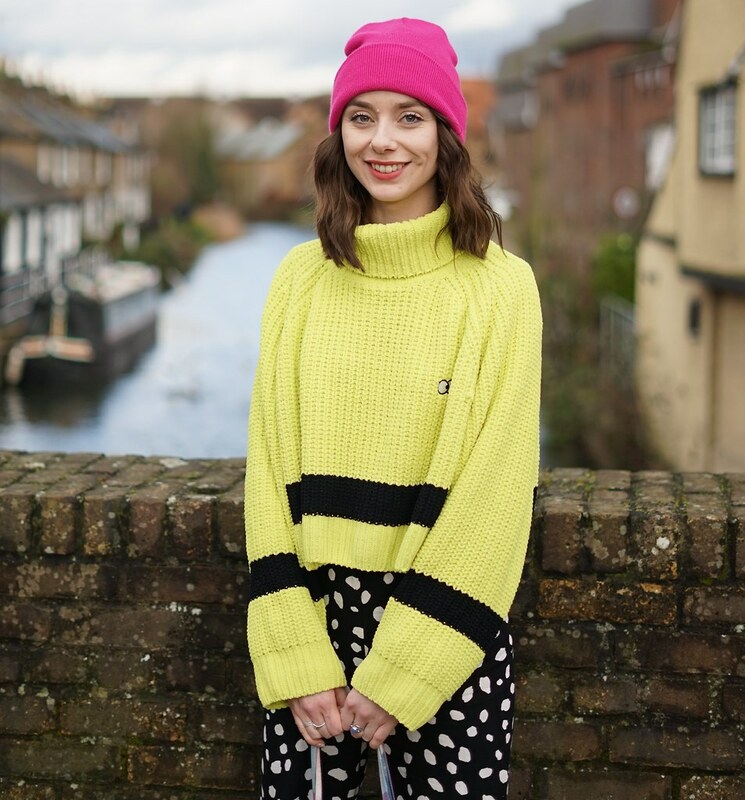 I reckon I have a severe case of bitchy resting face, I am actually quite happy to be wearing these clothes here (despite my face telling you otherwise). The shirt is a beauty I bagged at the Beyond Retro Garage Sale for £4, I'll share some more of my buys over the next few weeks as I got some pretty good bargains. You can check out their sale online to find yourself a bargain. I think polka dot is slightly under rated at the moment, it is one of my favourite prints to clash - especially an oversized dot. 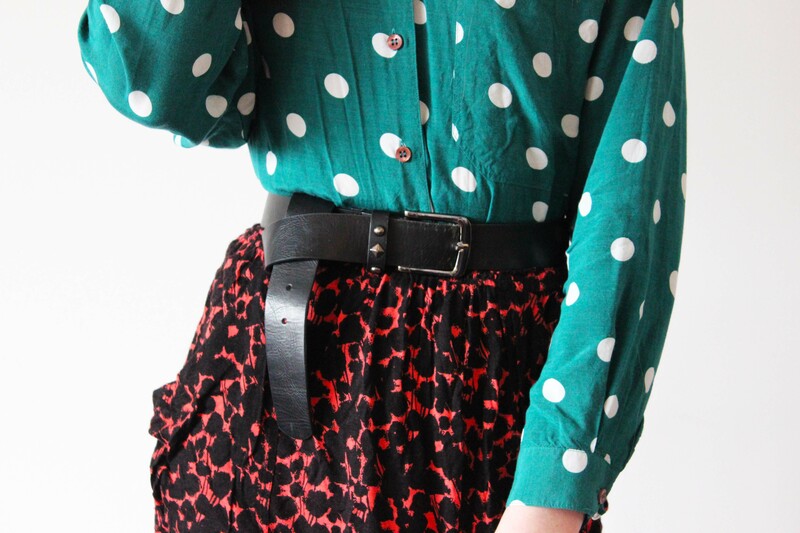 Absolutely love how you mixed those prints and colours ! The skirt is lovely !